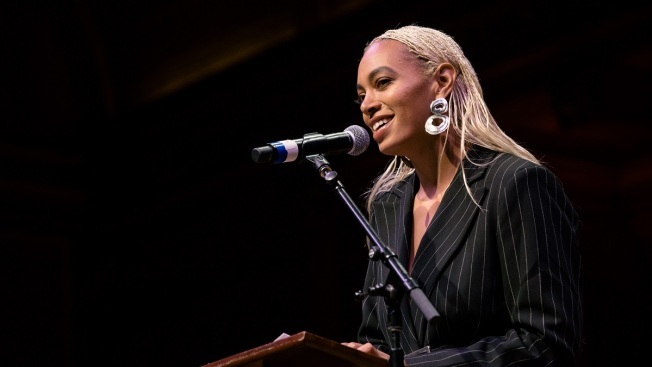 In this March 3, 2018, file photo, Solange Knowles accepts the Harvard Foundation 2018 Artist of the Year Award at Harvard University's Sanders Theatre in Cambridge, Massachusetts. Last year, Solange's big sister Beyonce headlined Coachella, giving a historical performance. Other performers this year include 1975, DJ Snake, Diplo, Solange and Weezer.